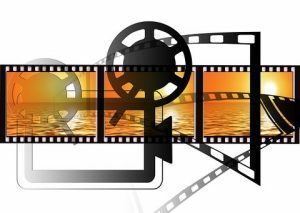 Windows Movie Maker has been a great video creation and editing tool for many who share videos on Youtube and other video sharing sites. The software is very easy to use and can be mastered by even novice video producers. The Movie Maker has been running smoothly until Windows 10 came along. The common problem with the Movie Maker running under Windows 10 is that upon opening of the program, the video appears normal but after a few minutes, the quality becomes poor and everything becomes blurry. Experts have suggested various solutions but there is yet to be an effective fix. However, worry no more! I have found a very easy and straight forward solution to fix the blurry video issue in Windows Movie Maker. 3. Add titles, captions if required. By this time, you may be noticing the decrease in video quality. 4. Here come the trick. Click on Project tab. 5. You will see two icons in the Aspect Ratio section. One says Widescreen and the other says Standard. 6. If widescreen is selected already, click on Standard. 7. You will notice that the video quality is back to normal. Yahooo! Wait, it’s not over yet. 8. Now switch back to your original Aspect Ratio. The video will retain its good quality. 9. Continue to make the video. You may notice the video quality becoming poor again. Repeat steps 5 and 6 to bring the video quality back to normal. 10. Save and export your video. Hopefully this solves your blurry videos in Windows Movie Maker. Enjoy making your next Youtube hit. Wow – I’m so glad I found this article! This kept happening to me, and I was starting to get quite exasperated! I had to keep re-doing my whole video, which was, to say the least, a HUGE pain! how do u register the full version of windows movie maker? I believe the Movie Maker is a free software offered by Microsoft. You can download it for free if you have a genuine Windows Software running in the system. 1. Launch Windows Movie Maker. Click “File,” then “Import into Collections.” Navigate to the video file and double-click it to import it. 2. Click and drag the imported video clip from the Collection section into the Timeline or Storyboard section at the bottom of the Movie Maker window. 3. Open the “File” menu and select “Save Movie File.” Click “My Computer” in the window that opens, then click “Next.” Type in a name for the movie and click “Next” to open the Movie Setting window. 4. Click the “Show more choices” link underneath “Best quality playback for my computer (recommended).” Click the “Other Settings” radio button. 6. Click “Next” to save the movie with the adjusted quality settings. There is no “File”…please elaborate. I tried this with a blurry vid, without success. When you say ‘ Continue to make the video (you mean ‘play’ it don’t you because the vid is already made.’ Then: you may notice the video quality becoming poor again, repeat steps 5 and 6, etc. All my movie did was play right through, and if I did stop to repeat the steps that changed nothing. Movie maker shows a very small screen which of course makes the movie nice and clear but the minute I put it on full screen on PC it reverts to what it was before. Hi Heidi, this fix is suitable for videos which are in the process of being created. What happens with Windows 10 users is that the imported videos & pictures, as well as any caption placed on the video turn blurry. Upon applying the fix, the video turns normal again. Throughout the entire creation process, the quality will turn blurry and the steps have to be repeated again. It seems you will have to try another method since you already have a completed video.